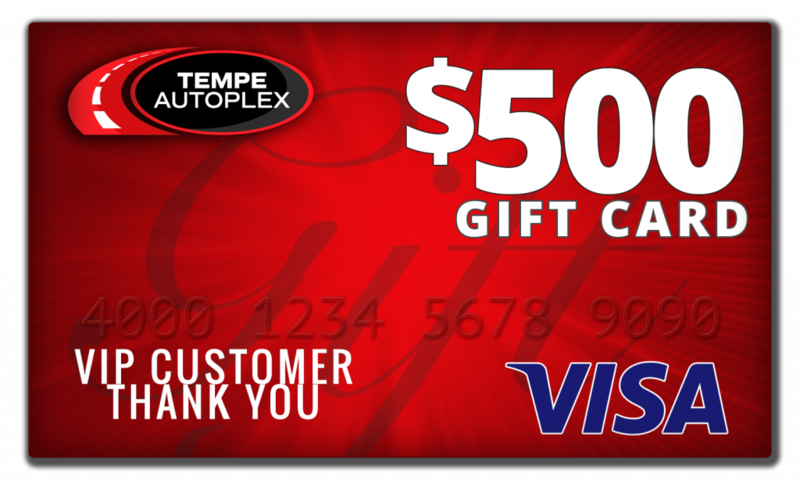 Buy any vehicle on November 23rd, 2018 and receive a $500 VISA gift card! Disclaimer: Valid only for vehicle purchases or leases finalized with dealerships located in the Tempe Autoplex on November 23rd, 2018. $500 VISA gift card will be mailed to the customer after the deal is funded. Cannot be used with any other offers, discounts or promotions. Cannot be applied to past purchases. Limit one gift card per customer while supplies last. 0.9% APR / 48 mos.